Where animal lovers go in Nara | Fujita Kanko Inc. 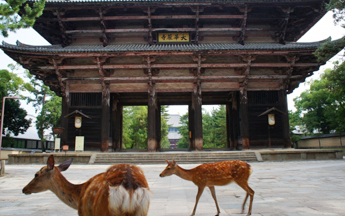 The ancient city of Nara is one of Western Japan’s most popular tourist destinations. Even older than Kyoto, it flourished in the 6th to 8th centuries and features an abundance of old shrines, temples, historical areas, national treasures, important cultural properties and world heritage sites. 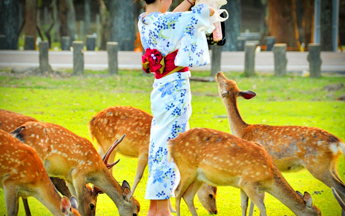 Among foreign visitors, one of Nara’s most popular attractions is the herd of free-roaming deer in Nara Park. These 1,200 or so deer, classified a natural treasure, are a popular subject of SNS posts searchable by the #鹿活 tag. 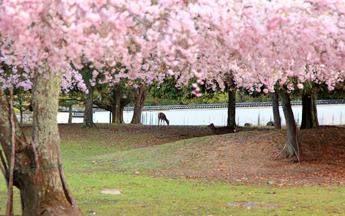 The park has long protected deer in tribute to a myth that the god of Kashima Shrine in Ibaraki Prefecture rode a white deer all the way to Kasuga Shrine in 768. 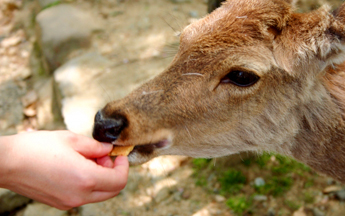 The friendly deer will gladly nibble special crackers from your hands, but please keep in mind that they are wild and easily feel threatened. To fully enjoy Nara Park, we recommend staying at Hotel Fujita Nara. This comfortable Fujita Kanko Group Hotel is just a short walk from Nara Park and World Heritage sites like Kasuga Shrine and Kofukuji Temple. It’s the perfect base for exploring the ancient city.